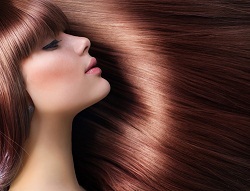 Some women are born with beautiful, straight hair – others will go to great “lengths” to get it. Unfortunately, sometimes the damage far outweighs the benefits. If you were one of the unlucky consumers that had drastically negative results from Suave’s Keratin treatments, hopefully you have filed your claim, as the deadline to file a claim under the Suave Keratin Infusion class action settlement has passed. September 25th was the last day to file your claim for part of the $10.2 million that Unilever United States Inc. agreed to pay in order to settle a class action lawsuit accusing it of marketing and selling a Suave-brand hair treatment that causes significant hair loss. Class Members of the proposed Suave Keratin settlement include all individuals who purchased or used the Suave Professionals Keratin Infusion 30-Day Smoothing Kit before Feb. 17, 2014. Why are we writing about it now? Good question. It seems over. But there still seems to be a lot of interest out there so we thought we would take a look back at what happened here. Originally filed in August of 2012, the Suave Keratin class action lawsuit was filed on behalf of a class of consumers who purchased or used Suave Professionals Keratin Infusion 30-Day Smoothing Kit, alleging that the product included dangerous ingredients that caused injuries from significant damage to hair to permanently destroying hair, as well burned scalps and melted hair. Consumers alleged that Unilever failed to properly inform consumers about the proper way to use the product to avoid injury, and that the product contained formaldehyde when it claimed not to have used the chemical. Though recalled in May 2012, it is estimated that between 225,000 and 260,000 smoothing kits were sold. Under the terms of the proposed class action settlement, Unilever will pay $10 million to establish two settlement funds. One will be a reimbursement fund and a personal injury fund. The reimbursement fund, consisting of $250,000, will be available to Class Members who purchased a Suave Professionals Keratin Infusion 30-Day Smoothing Kit, providing a $10 refund for the past purchase of the product. The second fund, the injury fund, will provide relief Class Members who suffered bodily injuries to their hair or scalp as a result of using the treatment. Class Members who incurred expenses for hair treatment but who no longer have receipts for their expenditures will be eligible to receive up to $40 per claimant. Class Members who have receipts from their treatments will be eligible to receive up to $800 per claimant for their expenses. Class Members who suffered significant bodily injury to their hair or scalp will be eligible to receive up to $25,000 per claim. Is this fair? No, but these types of consumer class actions rarely benefit anyone but the lawyers.